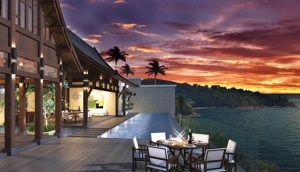 For those fortunate to live the luxury lifestyle, lavish homes in paradise can be bought or specially custom designed. Idyllic locations characterise these properties with many of these residences having extraordinary sea views. Not to mention idyllic beachside and hillside locations that mark privacy and seclusion, these residences also feature open and spacious indoor and outdoor living areas, extra family rooms, staff quarters, jacuzzis and of course a swimming pool. The luxury of contemporary tropical living!